Consumer Proposal Kingston | F. J. Zielski & Associates Inc.
What makes F. J. Zielski & Associates different? Who is eligible to file a consumer proposal? 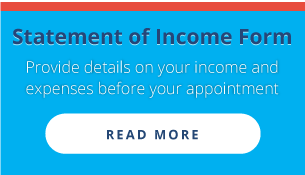 What happens if my income decreases and I can’t make the proposal payments? You owe money on three credit cards and a bank loan. In total you owe $25,000. You have a job and can afford to make some payments each month, but you cannot afford to repay everyone in full with interest each month. You have tried to get a consolidation loan, but were rejected, because your debts are too high. You don’t want to go bankrupt, and you don’t want to lose any of your assets such as your home or car. Then a consumer proposal is the solution for you. Contact F. J. Zielski & Associates Inc. in Belleville, Kingston, Trenton, or Cobourg. We work out a payment plan, and your F. J. Zielski & Associates representative will present that plan to your creditors. For example, in your consumer proposal you may be making payments to the trustee of $400 per month for 36 months, for a total of $14,400. That’s just over half of your debt at a savings of $10,600! Perhaps you have tried to make similar offers to your creditors and they didn’t accept them. What makes a proposal in Kingston from F. J. Zielski & Associates any different? F. J. Zielski & Associates is a licensed administrator of consumer proposals and your creditors recognize that. If they do not accept the consumer proposal a bankruptcy may be the next thing coming their way, and they don’t want that! A proposal is better for your creditors because even though they may not get all of their money, they are getting more than they would get in a bankruptcy. A consumer proposal is a great alternative to bankruptcy, particularly for people with student loans and a bankruptcy will not discharge the debt. So if you are having troubles meeting your bills each month, have good steady income, contact F. J. Zielski & Associates for a free consultation to discuss your options. There are a number of requirements you must meet to be eligible to file a consumer proposal. You must be insolvent, meaning you are unable to pay your debts; a bankrupt can file a proposal. You must be an individual in Canada; corporations are not eligible to file a consumer proposal. Your total debts, excluding the mortgage on your principal residence, must be less than $250,000. If you owe more than $250,000 you can only file a proposal under Division 1 of the Bankruptcy and Insolvency Act. The debt limit increases if you file a joint proposal with your partner to $500,000. All unsecured debts are included in the proposal. You cannot “pick and choose” the debts you include: all unsecured debts must be included in your consumer proposal. Secured debts are not generally included in a consumer proposal, such as the mortgage on your house or a car lease that you intend to keep paying. You would continue to pay these debts outside of your proposal. (Note that if you want to get out of a car lease or mortgage, you could surrender the car or the house to the lender at the start of the proposal. Once they have seized your asset, they become an unsecured creditor and can be included in the proposal). You must have a stable source of income to ensure that you will be able to make the proposal payments each month. The process starts by contacting a proposal administrator (who is technically a licensed trustee in bankruptcy). Your administrator will review your circumstances and work with you to prepare a proposal. Once you sign the proposal your administrator will file it with the Office of the Superintendent of Bankruptcy, which starts the “45 day clock.” Your administrator mails or faxes the proposal to each of your creditors, and your creditors then have 45 days to vote to accept or reject the proposal. On the 45th day, your administrator counts all the votes received from your creditors. Each unsecured creditor gets one vote for every dollar they can prove that you owe. A majority of votes (50% + 1) is required for your proposal to be accepted. If a 25% or more of creditors vote against the proposal, a creditors meeting will be held to determine the fate of the proposal. At the meeting you could increase the amount you are offering to pay your creditors so that they accept the proposal, or you could allow the proposal to be rejected, which may mean you end up declaring bankruptcy. Once the proposal has been accepted by your creditors there is a “15 day court approval” period which allows any disgruntled creditor to apply to the court for the court to review and formally accept the proposal. In an ideal situation, the proposal will be in full force 45+15=60 days after filing where by you begin making your monthly payments. Once in force the proposal becomes like a contract where you must make your payment each month, if any payment falls in arrears by 3 months the proposal is automatically annulled. You have an obligation to report to your administrator any adverse changes with your finances; if your income decreases you may file an amended proposal. However, filing an amendment runs the risk of your creditors not accepting the changes leaving you with no proposal at all. Schedule a free consultation with F. J. Zielski & Associates today. You can download and complete the following forms to help your advisor assess your current financial situation.